Built in 1943 on the site of the Civilian Conservation Corps camp, the old stone-built Cowee school served thousands of students until it closed in 2012. 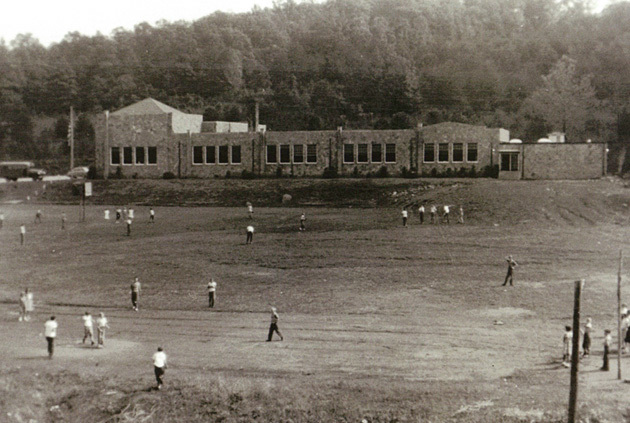 In an effort to ensure the school would not be demolished or sold when plans were announced to build a new elementary school in the area, Mainspring (then the Land Trust for the Little Tennessee) joined with Macon County and a local grassroots organization called the Cowee Community Development Organization to develop a vision for a community center. Historic Cowee School is now Macon County Heritage Center, a 501(c)3. Run by a dedicated group of volunteers, the center offers courses in textiles, pottery, and art, and includes rooms dedicated to local artifacts and Cherokee history. A farmer’s market is open in summer months and the old kitchen is certified by the North Carolina Department of Agriculture as a shared-use kitchen.